At the most recent calculation, 1.2 million women a year underwent a Hysterectomy procedure worldwide. With a figure of 55,000 in the UK and just over 500,000 in the USA. Why women undergo this procedure is as varied as the woman to whom the procedure is being applied. From Ectopic pregnancies to Uterine Fibroids, Endometriosis to Cervical Cancer, the female ailments that precede the need for Hysterectomy are usually highly challenging in themselves and many women undergo Hysterectomy as a theoretical ‘final solution’ to chronic and life-disrupting issues only to find that there is also an additional toll to be paid during the recovery period and for many years after. For many women, although Hysterectomy alleviates their most pressing health issues, in the immediate and long-term recovery period, the removal the reproductive organs actually acts as a catalyst to range of, sometimes life-threatening conditions such as Osteoporosis, heart disease, pelvic organ prolapse, bowel dysfunction and Metabolic Syndrome. So, unlike other surgical procedures, the expected short-term recovery issues are generally compounded by the unexpected and confusing long-term physical and emotional fallout due to gross endocrine disruption. Unfortunately, this imbalance and the sometimes debilitating accompanying negative symptoms can easily last for many years and even decades into the rest of woman’s life. [su_expand more_text=”Read more” link_color=”#ff009e” link_style=”button” more_icon=”icon: plus-circle”]Hysterectomy is, of course, one of many female health taboo subjects….it traditionally happens to older women who historically have been ‘non-complainers’ and not been strong advocates for their later-life health. 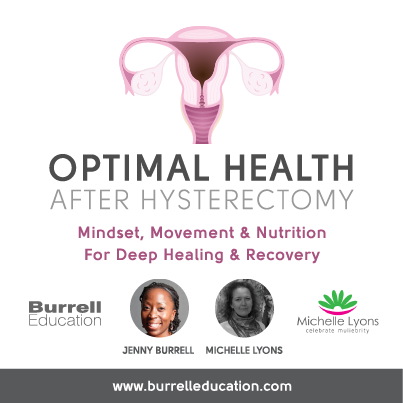 For many, Hysterectomy is something that is ‘done’ to them without a clear understanding of the actual procedure or the short and long term implications for their ongoing health. There is, however, a sea change, women are finding their voice, asking questions and insisting on answers. And thanks to the internet and the democratisation of information regarding the procedure, women are starting to become their own health advocates. BUT, there is still work to be done to improve education on the procedures themselves and how best to recover plus clear directions on the potential for ongoing health challenges that women may experience due to the procedure, sometimes for the rest of their lives. Information regarding Hormone Therapy, bone health, sexual function and so many other issues also need to be clearly explained so that women are prepared and indeed can take steps to offset these health issues through specific nutrition and lifestyle protocols. Ultimately, women need to know that there is life, hope, and wellness after Hysterectomy and that there are great information and sources of support for their onward journey. 5. Choosing the best style of exercise to support your new pelvic health status. Pelvic floor safe, bone strengthening, cardio-protective, alignment focussed movement for life. 6. Restoring ‘Intrinsic Core Synergy’ and releasing scar tissue to optimise core function. Real life testimonials of women’s Hysterectomy stories, their no holds barred journies to and through Hysterectomy. One of the greatest gifts we can give each other as women is the gift of community and sharing during this process. In many cases, many of the fears and concerns about this procedure can be lessened by simply knowing that we’re not alone and this part of the education hopes to give you a insight into the journey of real women in a bid to bring hope and clarity to those with questions. Ultimately, you are NEVER alone in this procedure and it is exactly that, a procedure…..it need not become your identity. [su_spoiler title=”Who has accredited this Advanced CPD?” style=”fancy” ]We are just awaiting accreditation but like all Burrell Education courses, this course will be accredited by Skills Active in the UK and candidates will receive CPD points. (Burrell Education is a Licensed Education Provider). And we await NASM Accreditation in the US also in order to grant candidates CEU points. 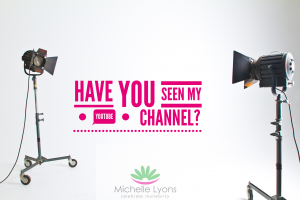 Michelle Lyons is a Global Women’s Health Physiotherapist and Physiotherapy Educator based in Ireland that EVERYONE should know if they are working in the world of Women’s Wellness. 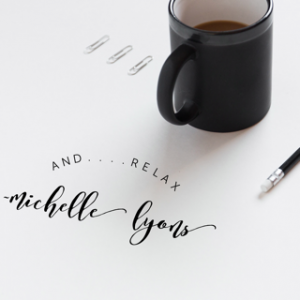 The term Women’s Health Physiotherapist although wonderful doesn’t actually cover even a 10th of Michelle’s scope of practice, knowledge, and teaching which includes Female Cancers, Menopause, Bone Health, Herbalism, Pelvic Health, Aromatherapy, Mindfulness, Integrative Nutrition…..and the list goes on. Her knowledge base is both extremely wide and deep and her contribution to this certification, quite simply elevates it to being ESSENTIAL INFORMATION FOR THE LIFE OF EVERY WOMAN! Jenny Burrell is the Head of Burrell Education and with nearly 20 years dedicated to the fitness, soft-tissue therapy, nutrition of and wellness of the Ante Post Natal woman, Jenny reached out to Michelle Lyons with her extensive knowledge of Mid-Life women’s wellness to see if a collaboration educate both the woman considering and experiencing Hysterectomy would be possible. As Hysterectomized woman, Jenny experienced first hand the lack or information prior to and after the procedure and dedicated herself to one day creating education for other women so that they would have vital and empowering information that was easy to access in order for them to become better advocates for their own health at such a pivitol time in their life. You can find out more about Jenny here. It is ACCESS ANYTIME which means once you purchase you get access to the Modules and the Facebook Support Group hosted by Jenny Burrell and Michelle Lyons immediately (from May 2nd onwards) and you complete the contents and exam (if you want certification) in your own time. Need to Convert Your Currency – click here?